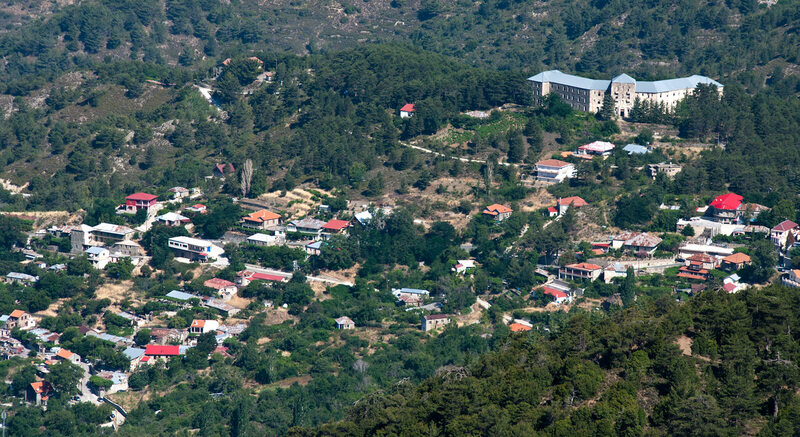 At 4,530 feet (1,380 meters), Prodromos village is the highest settlement on the island of Cyprus. It is located deep in the Troodos mountain range on the border between the Nicosia and Limassol districts. The highest mountain in Cyprus, Mount Olympus, is very close by and the small village (123 inhabitants as of 2011) is used by visitors for accommodations. The following video show with a drone focuses on the prominent Veregaria Hotel which is abandoned but allows you to see the surrounding mountains of the village.